The Bartender, the Jagermeister of grips. No fuss rubber, lock on and rock out. Any good Bartender should be able look at you and give you what you need. And our grip is no exception. Simple 1 sided lock on allows you to easily fit the grip and go. 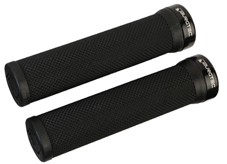 Our tapered insert hugs the bar and stops any movement. The Cloud Mk2 is our new and improved saddle for the serious rider. The Cloud MK2 is even more comfortable than its predecessor. With a larger surface area providing more support, your saddle will never stop you from riding. The seat now comes in 3 flavours Cromo rail, Ti rail and Carbon rail. With 3 excellent price points. Cromo rails moulded plastic base £34. 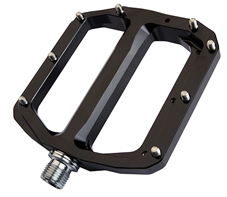 Titanium rails moulded carbon base £64. Carbon rails moulded carbon base £119. 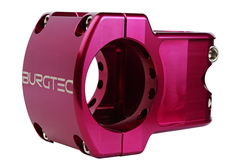 New double bush single bearing internals. The Ride Wide is the original and best wide bar. 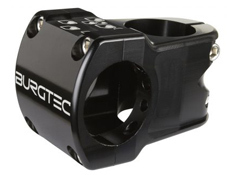 Finish your cockpit in style and add the bars to a Enduro stem.